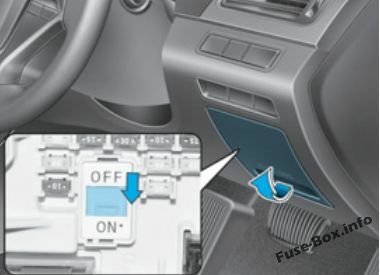 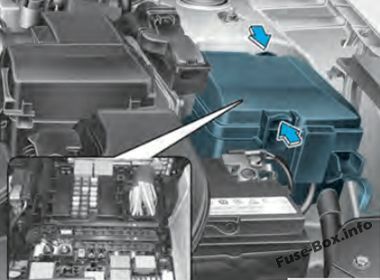 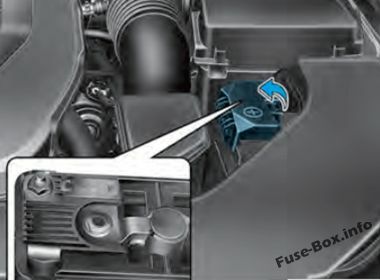 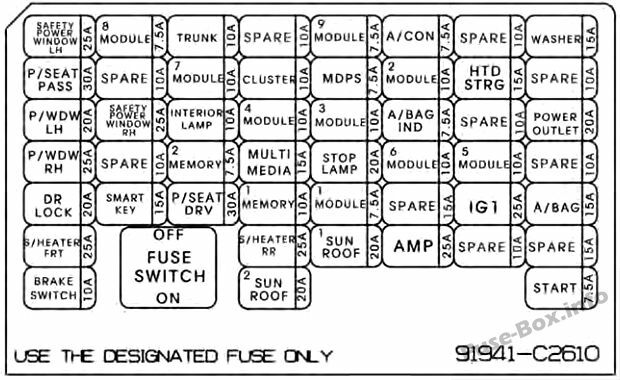 Always, place the fuse switch to the ON position. 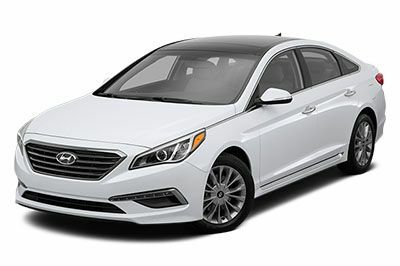 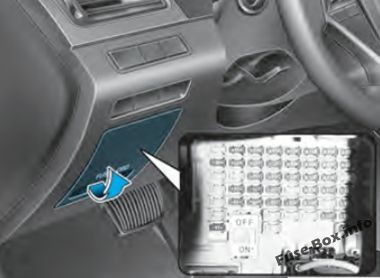 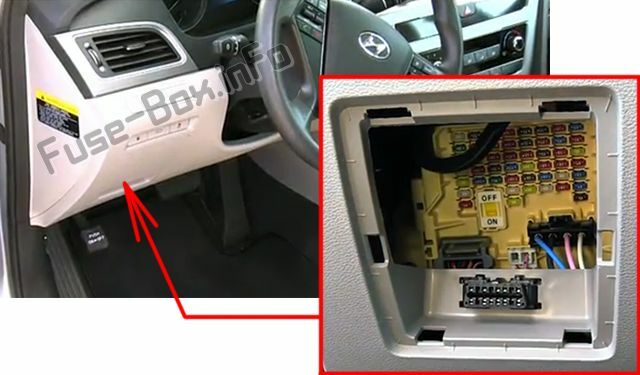 If you move the switch to the OFF position, some items such as the audio system and digital clock must be reset and the smart key may not work properly. 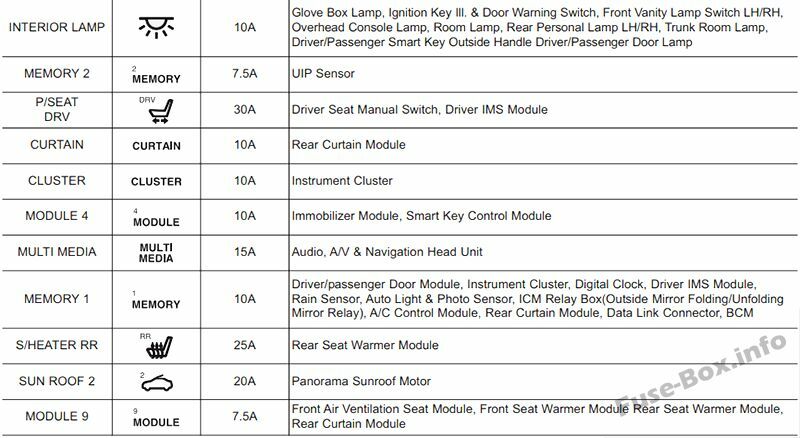 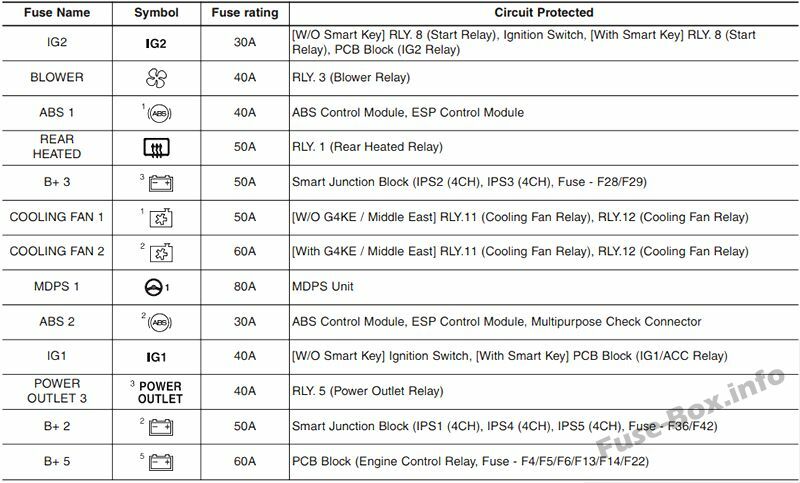 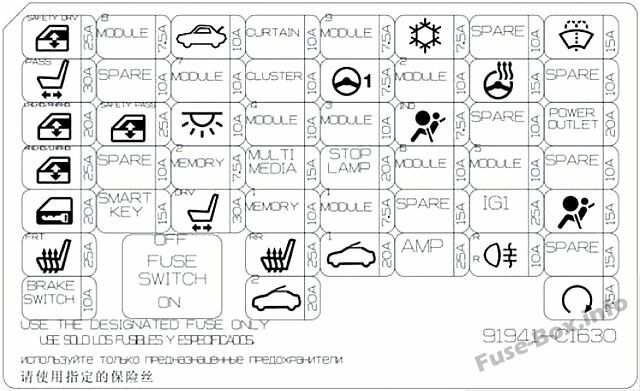 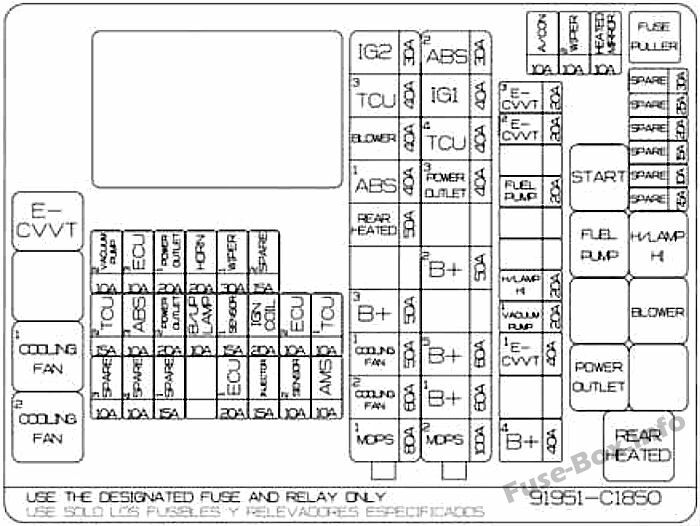 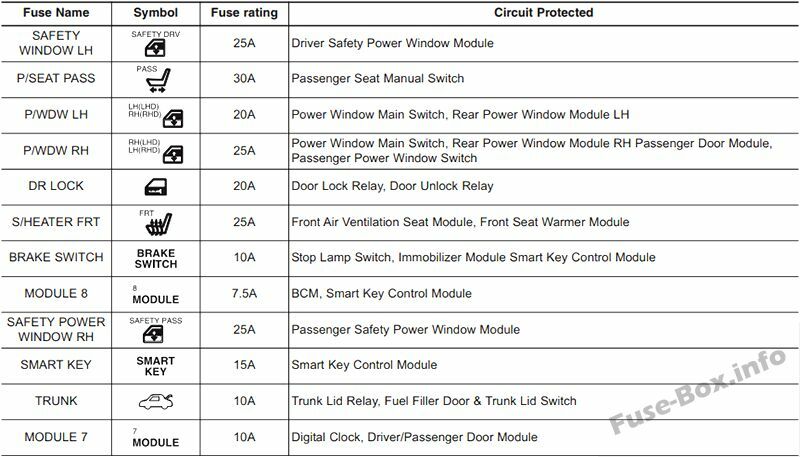 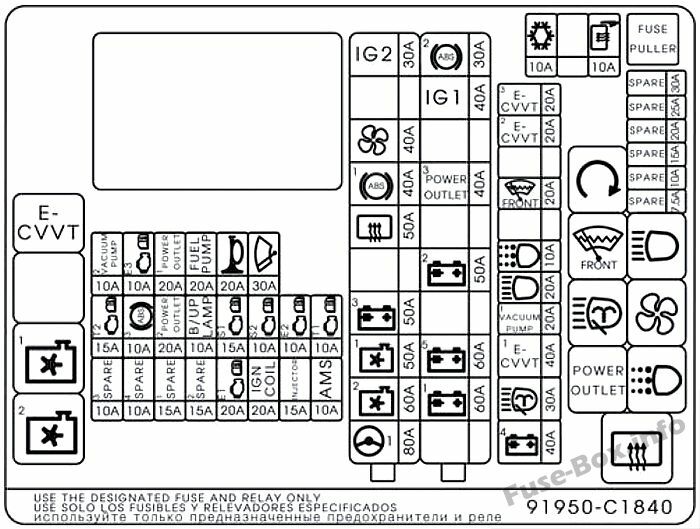 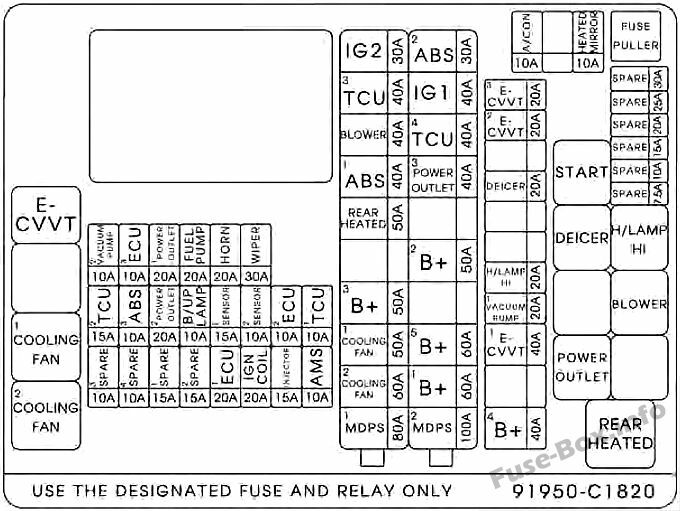 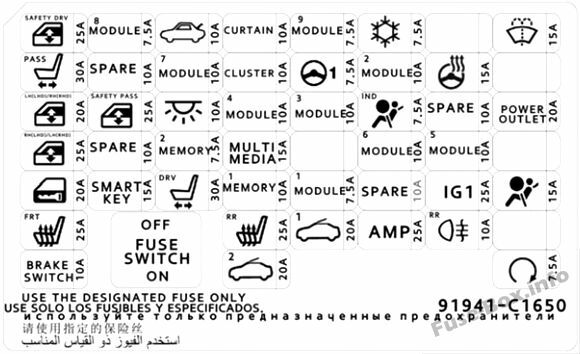 6 MODULE 10A Multipurpose Check Connector, A/C Control Module, TMU Unit, A/V & Navigation Head Unit, Electro Chromic Mirror, Front Air Ventilation Seat Module, Front Seat Warmer Module, Rear Seat Warmer Module, Driver IMS Module, A/T Shift Lever IND. 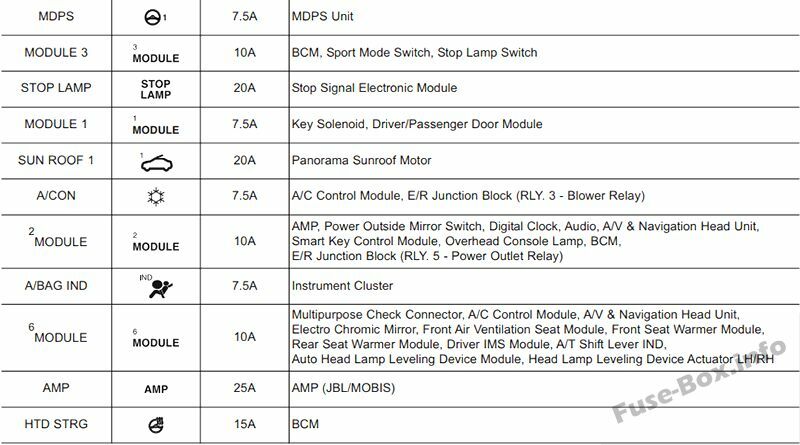 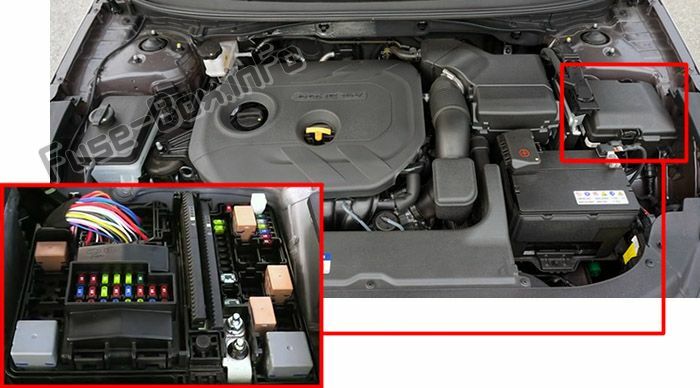 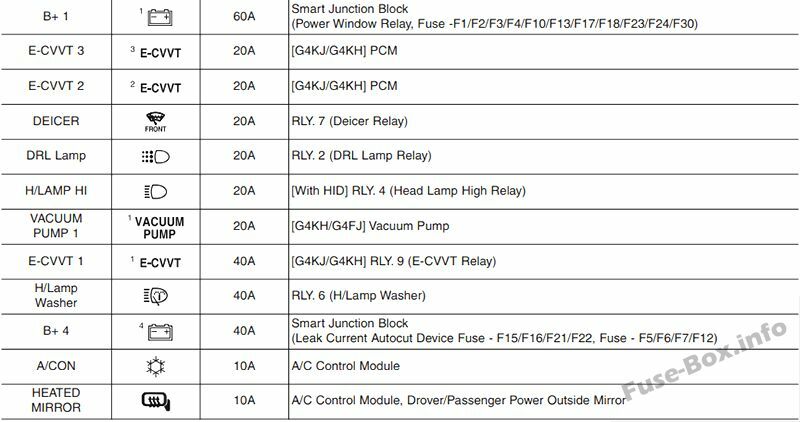 6 MODULE 10A Multipurpose Check Connector, A/C Control Module, A/V & Navigation Head Unit, Front Air Ventilation Seat Module, Front Seat Warmer Module, Rear Seat Warmer Module, Driver IMS Module, Head Lamp LH/RH (DBL), ATT Shift Lever IND.